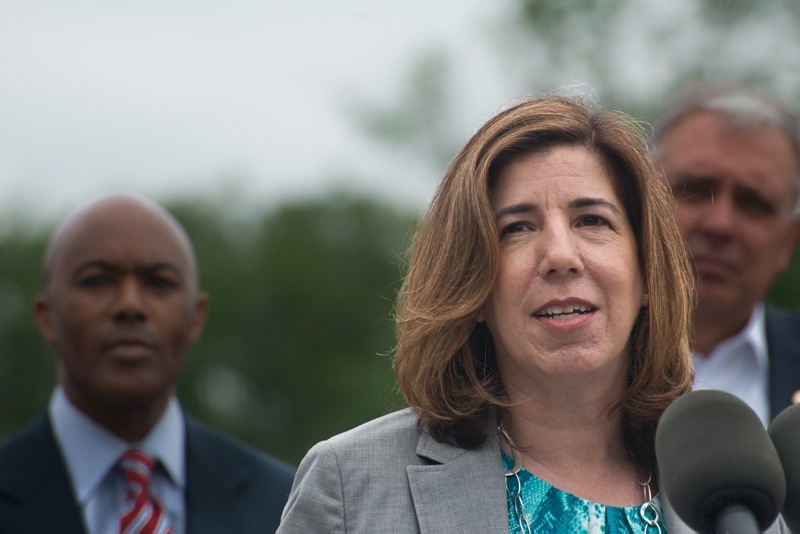 Cressona, PA - Standing on the site where parts for the state's newest bridges will be fabricated, Pennsylvania Department of Transportation (PennDOT) Secretary Leslie S. Richards today announced that construction on the Rapid Bridge Replacement Program, a public-private partnership (P3) with Plenary Walsh Keystone Partners (PWKP), is starting this month. 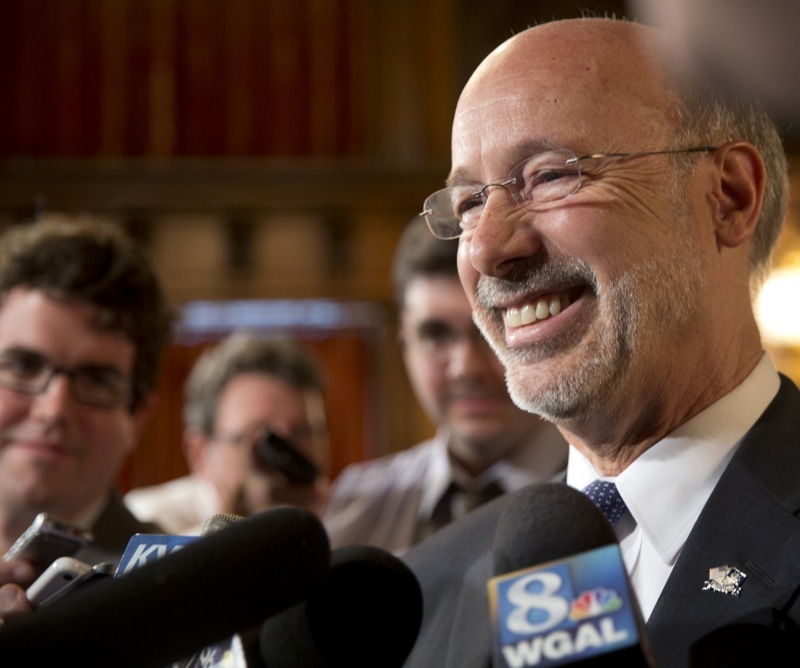 Pennsylvania is soaring high in the aviation industry. 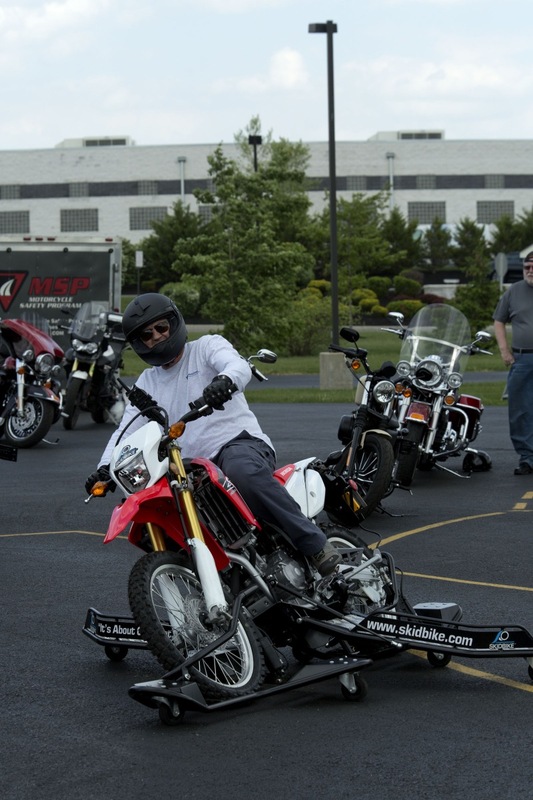 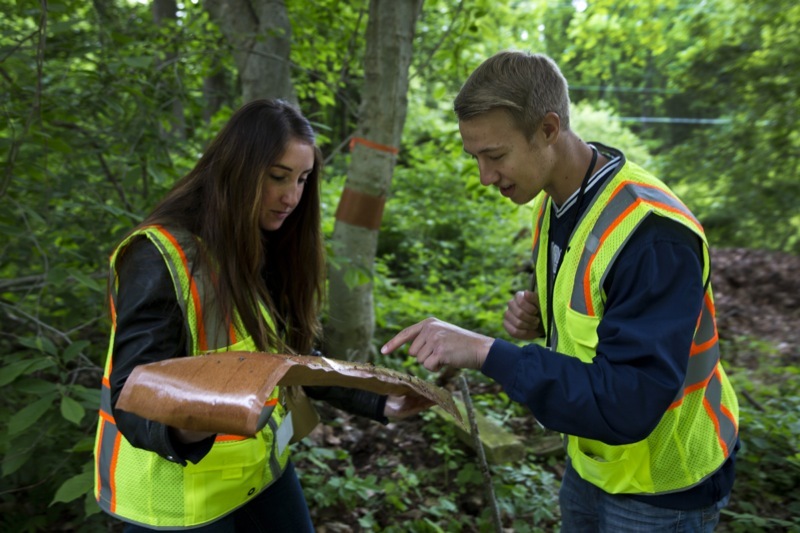 Learn more about the advantages and services offered at the Bedford County Airport. 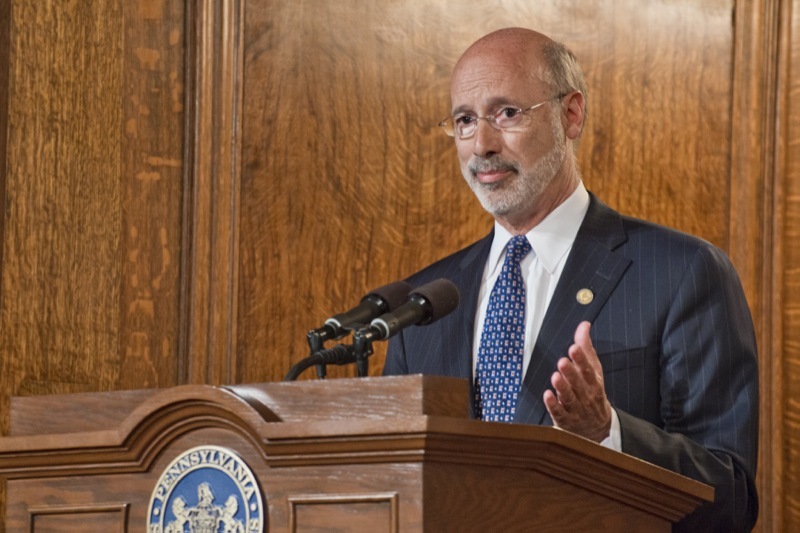 Governor Tom Wolf held a Facebook Town Hall live online on his 2015-2016 budget. 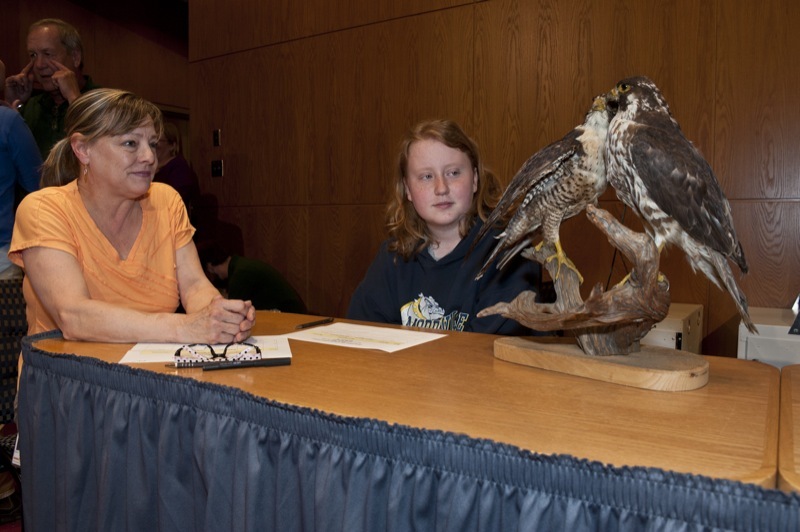 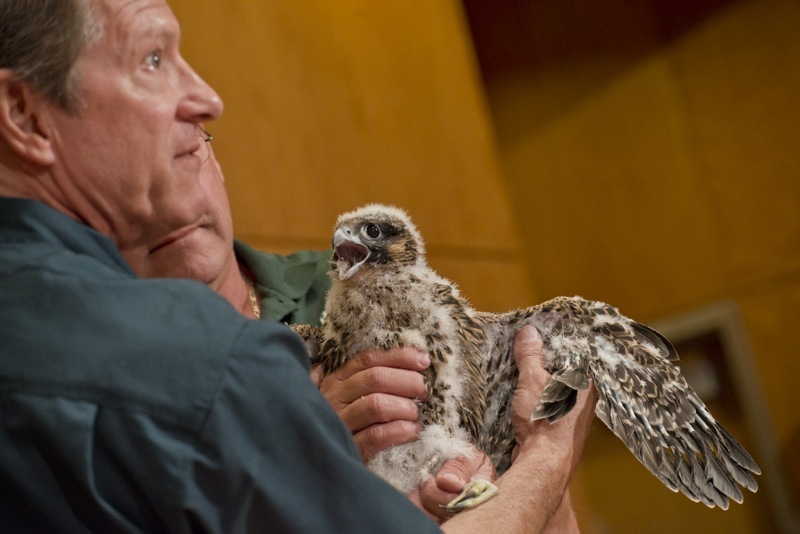 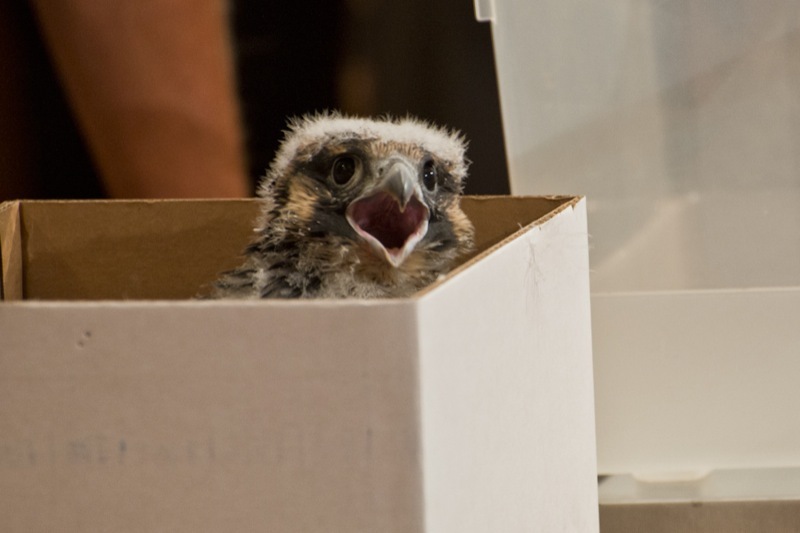 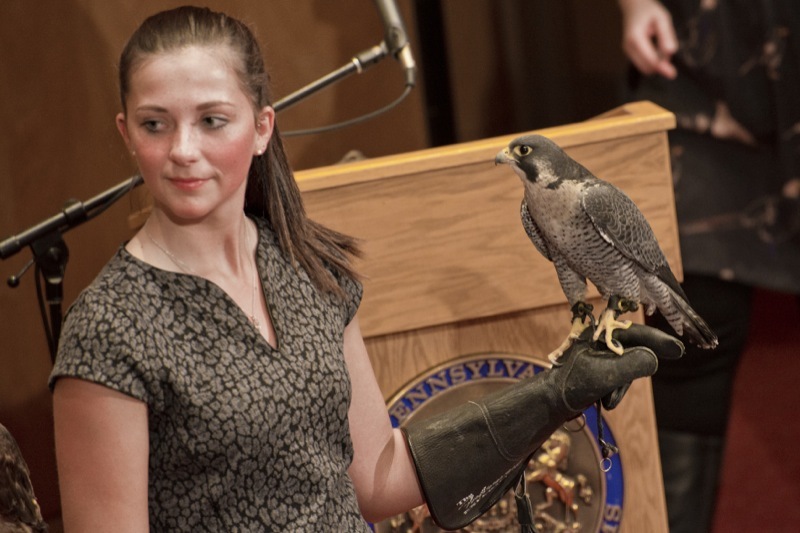 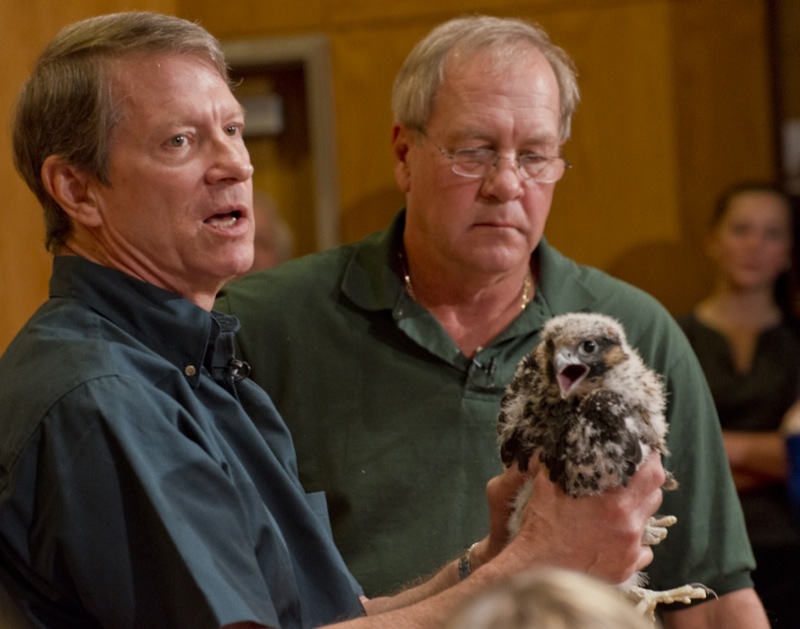 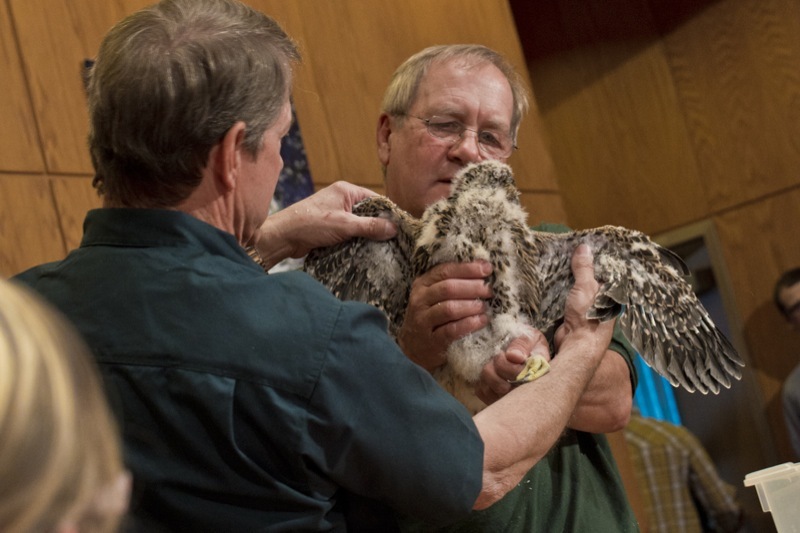 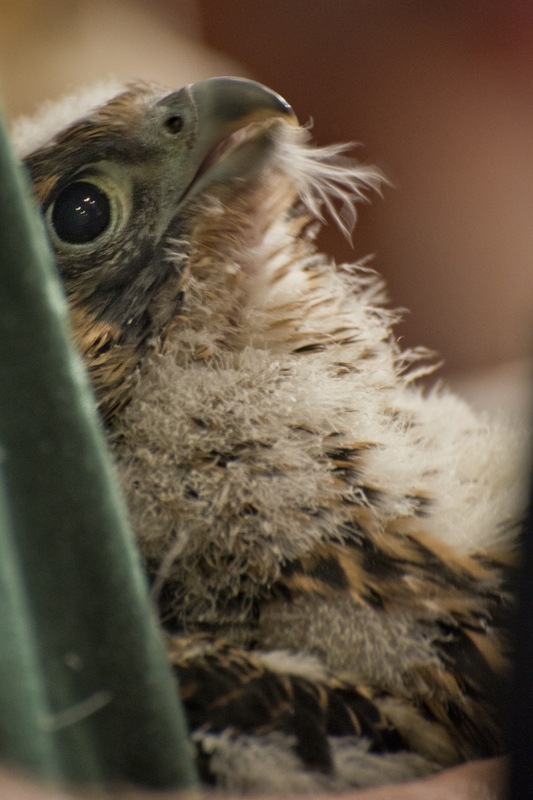 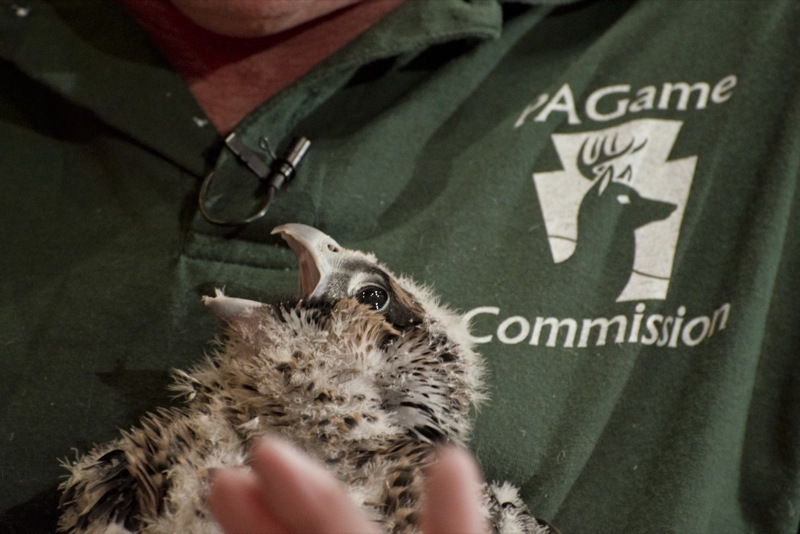 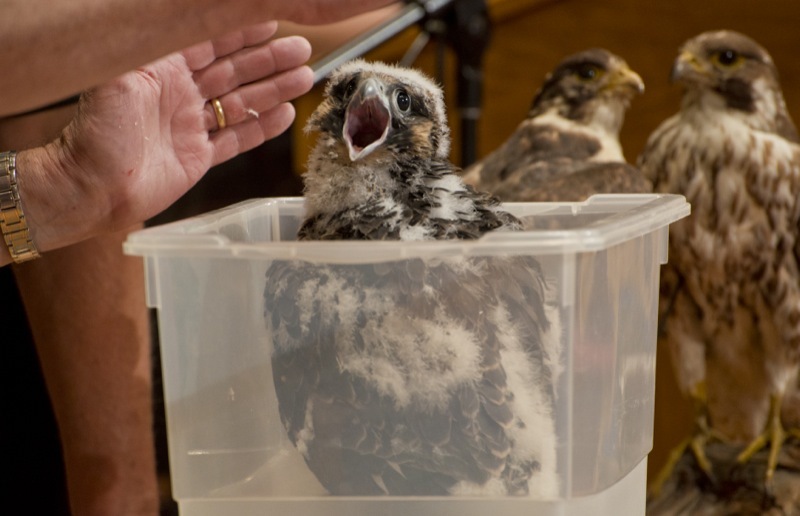 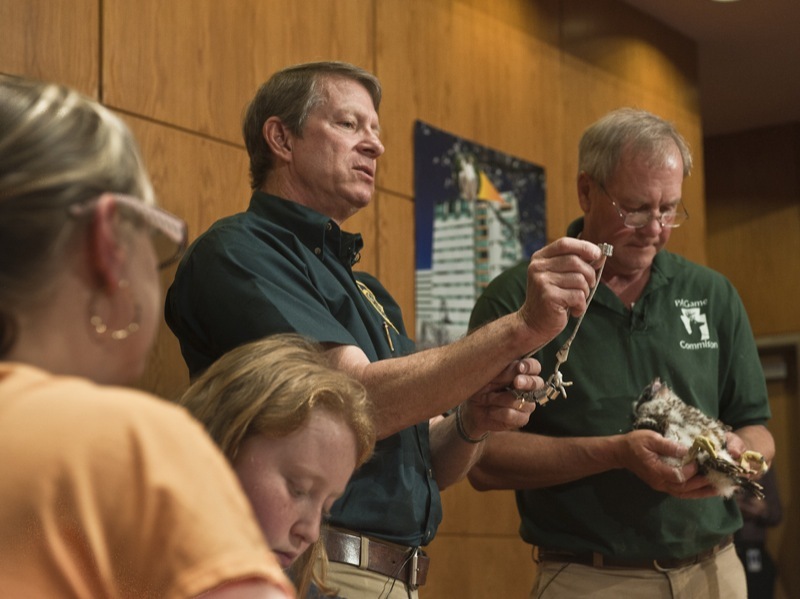 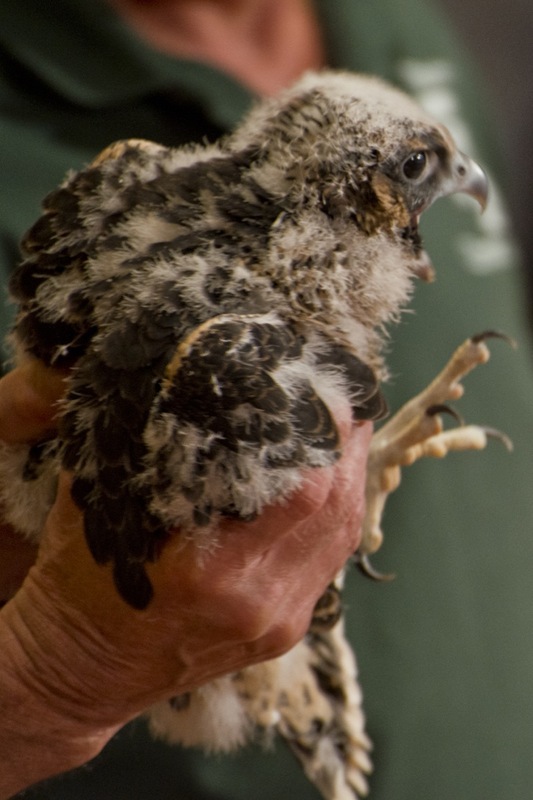 On Thursday, May 22nd, 2015 the Peregrin Falcons nestlings born this season on the ledge of the Rachel Carson State Office Building in Harrisburg were banded, weighed, and examined. 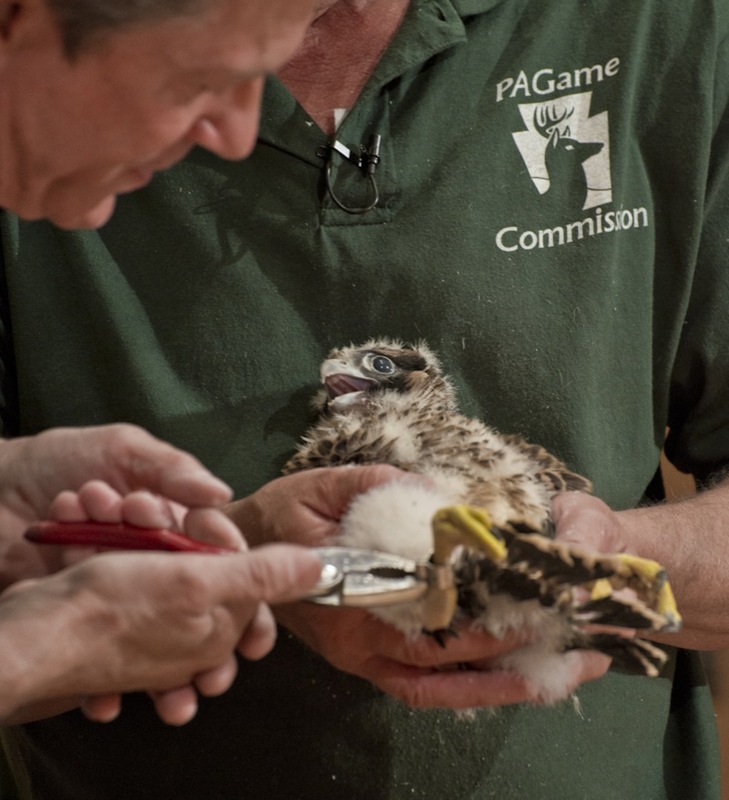 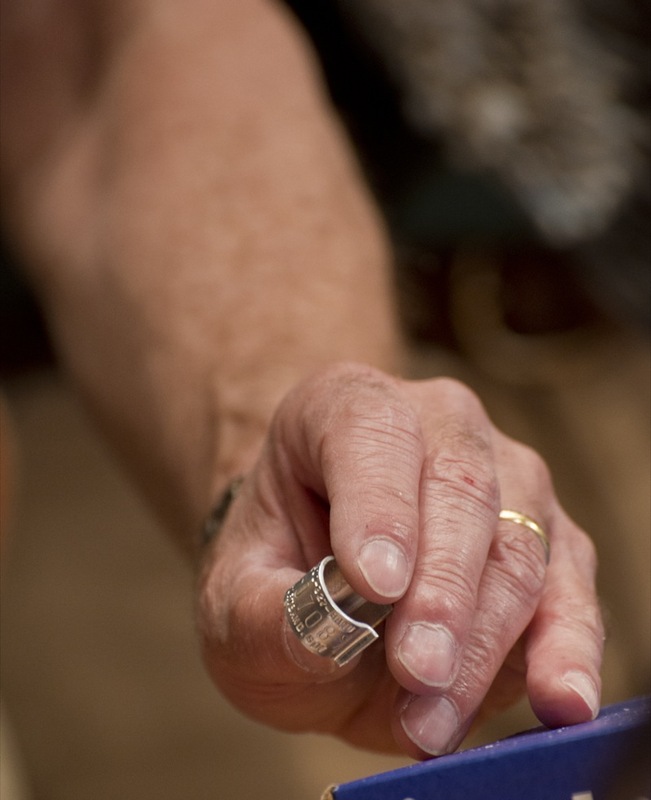 This banding allows state officials to track their movements as the nestlings grow and leave the nest. 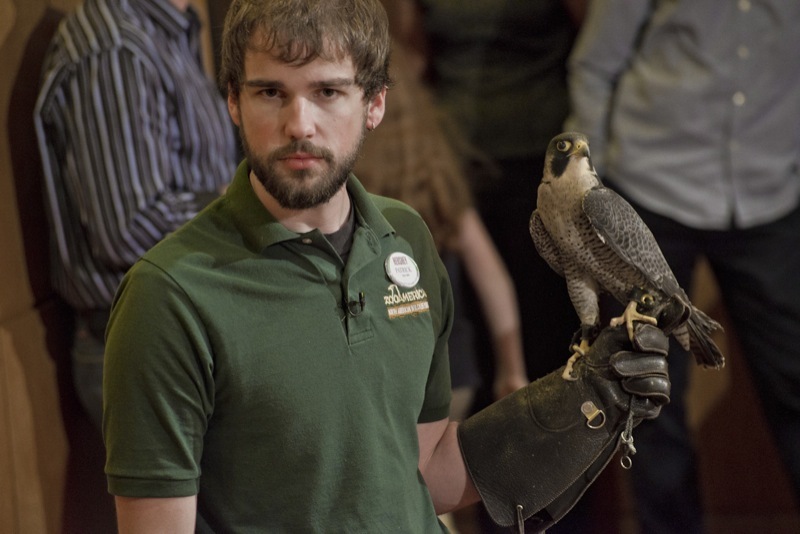 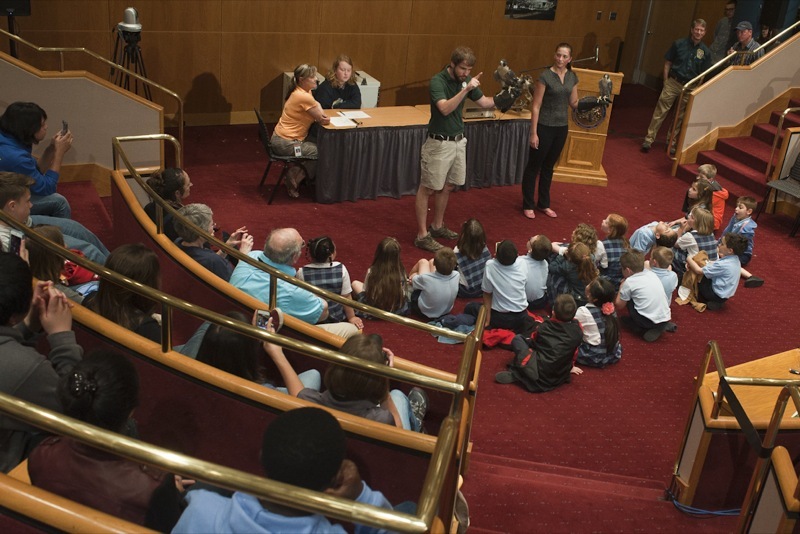 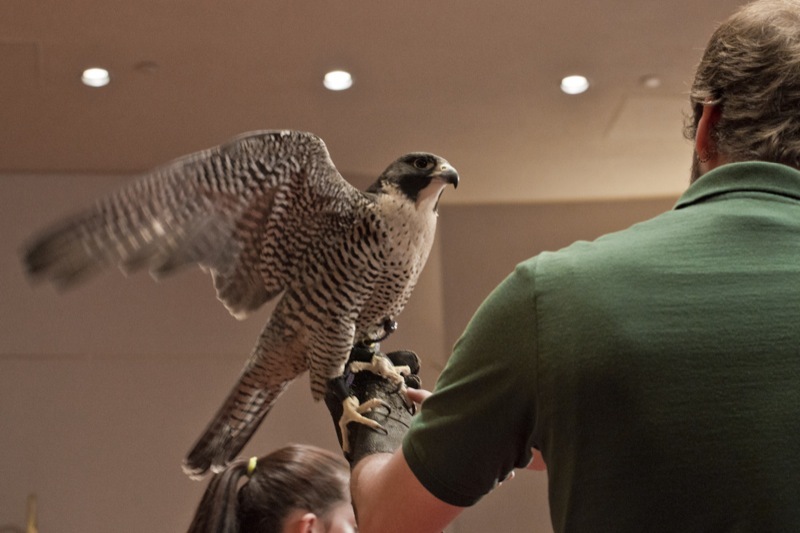 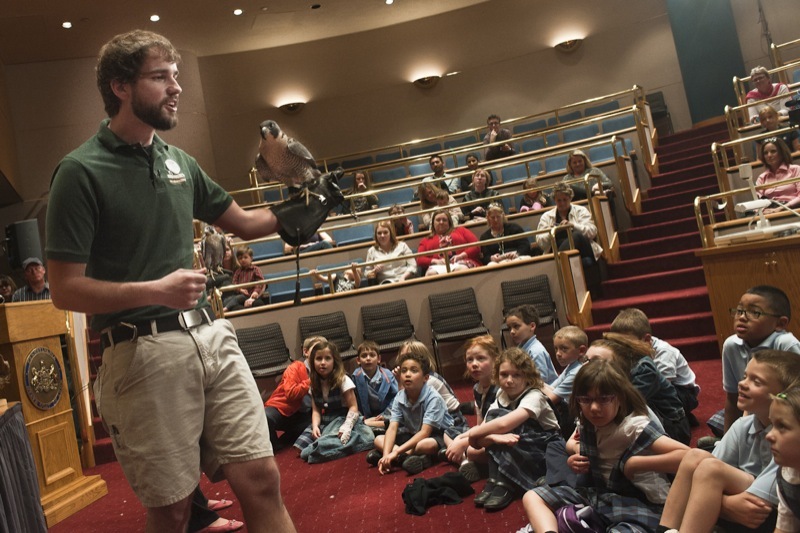 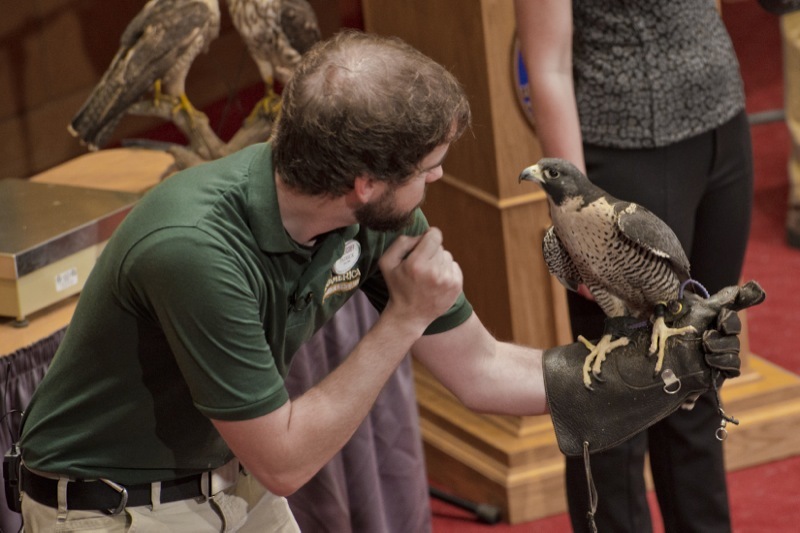 Zoo America also participated in the event bringing a live male adult Peregrin Falcon, to education children school teachers about adaptation. 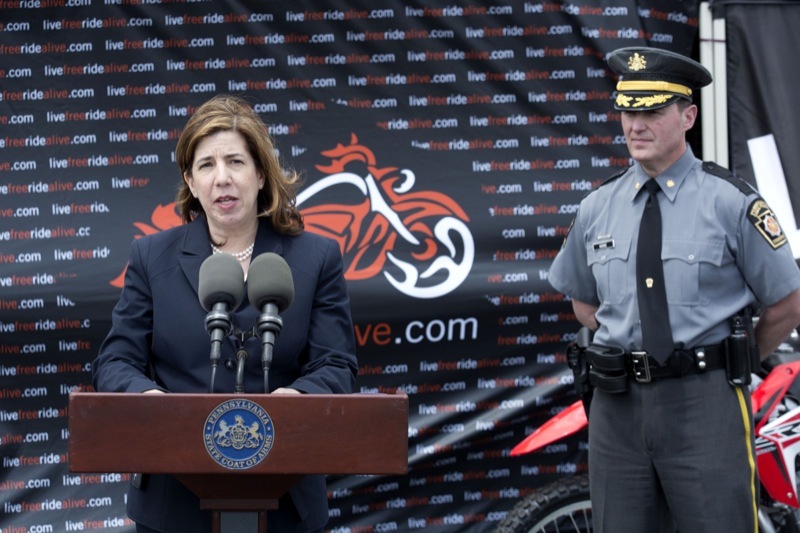 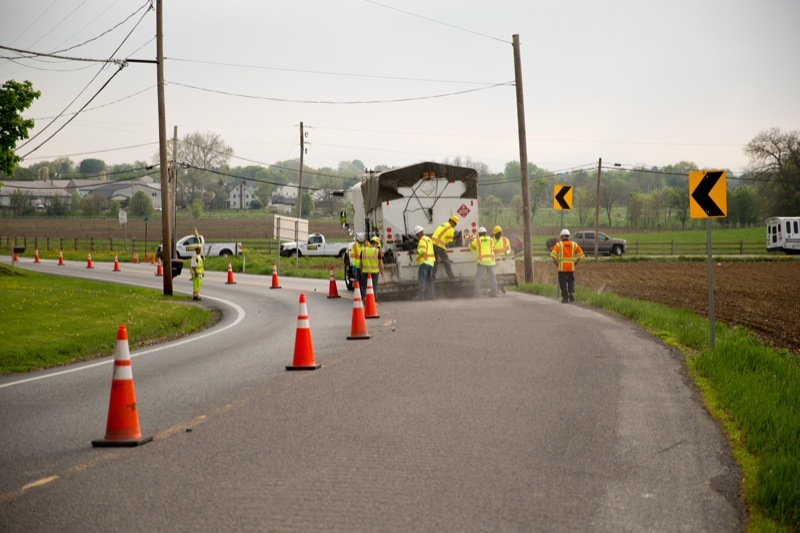 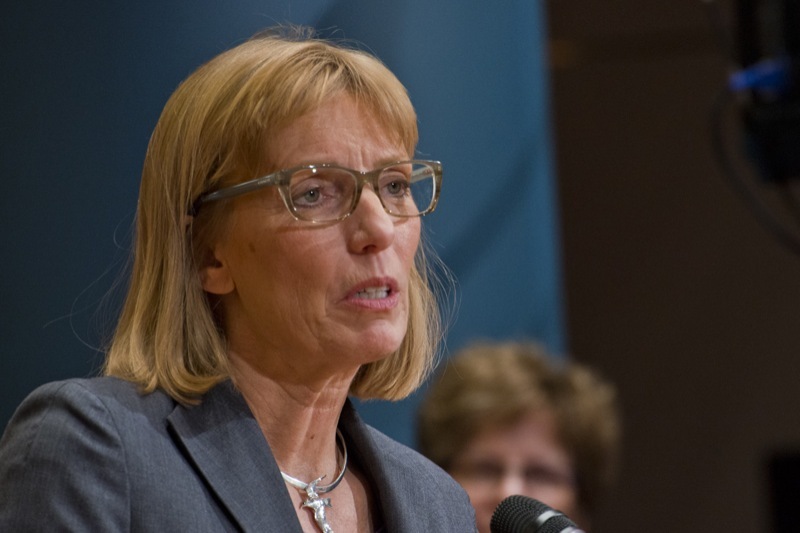 Pennsylvania Turnpike to Widen Roadway to Six Lanes in York County greater than Turnpike CEO announces Orange Improvement Zone campaign to inform motorists, public. 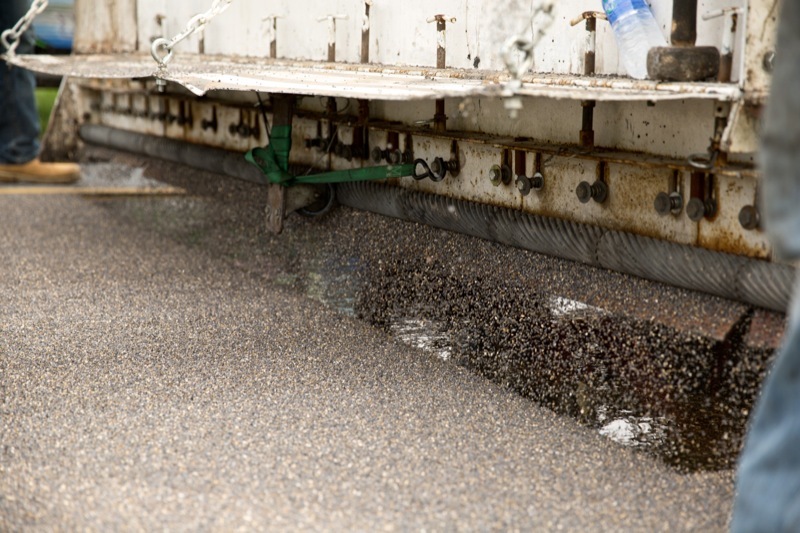 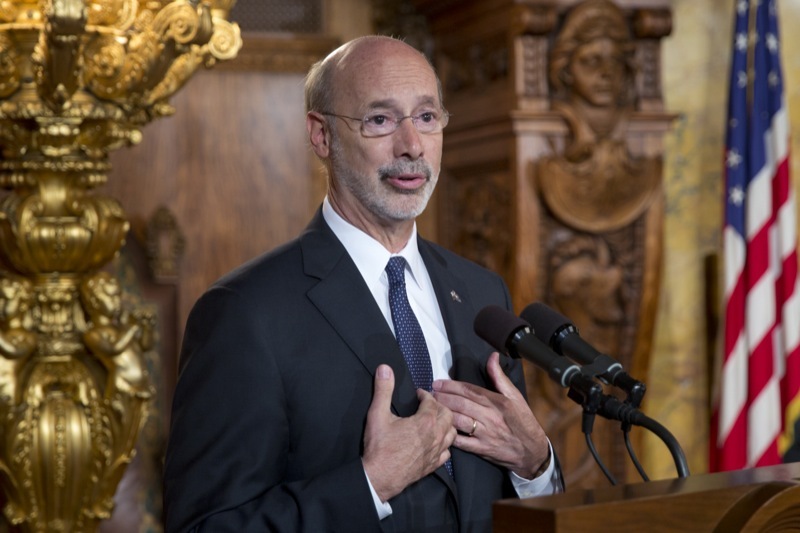 HARRISBURG, PA (May 22, 2015) -- The Pennsylvania Turnpike Commission (PTC) today announced a major improvement project on Interstate 76 between the Susquehanna River Bridge and the Harrisburg West Interchange to completely rebuild and widen the roadway from four lanes to six lanes with a 26-foot center median. 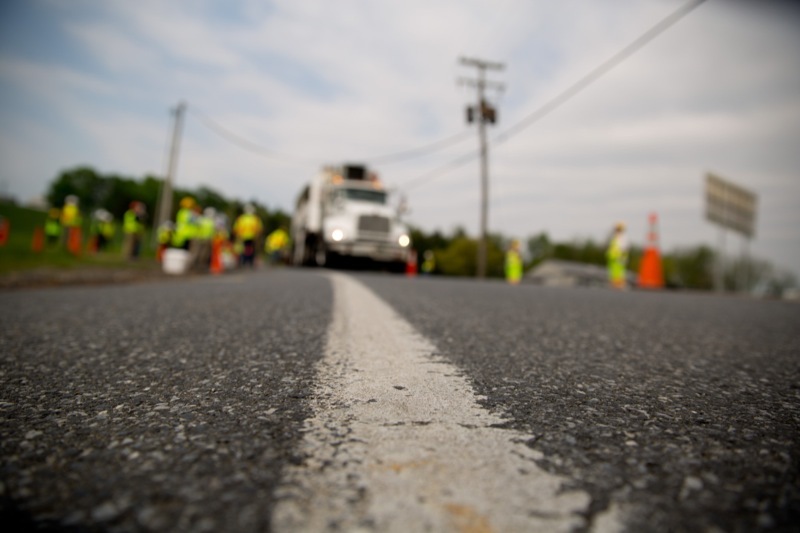 The $94 million project will result in a totally new, wider roadway from milepost 242 to milepost 245; roadway construction will get under way after the Memorial Day holiday. 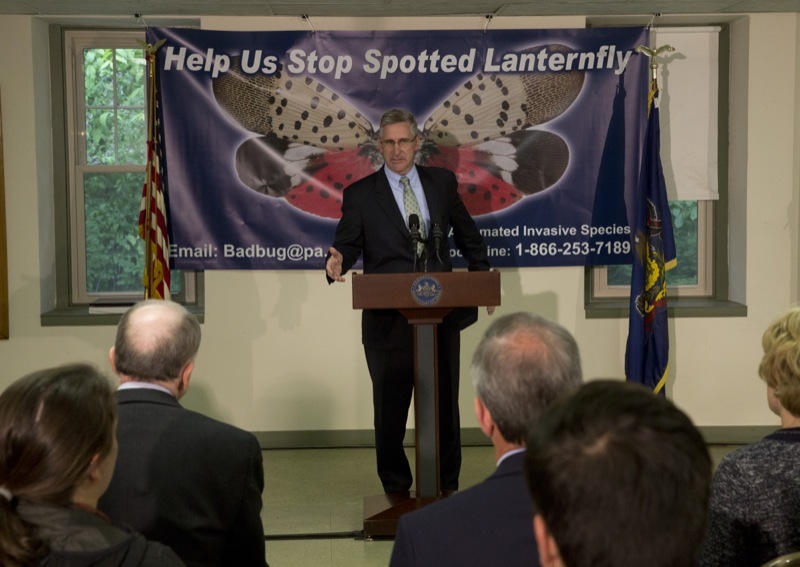 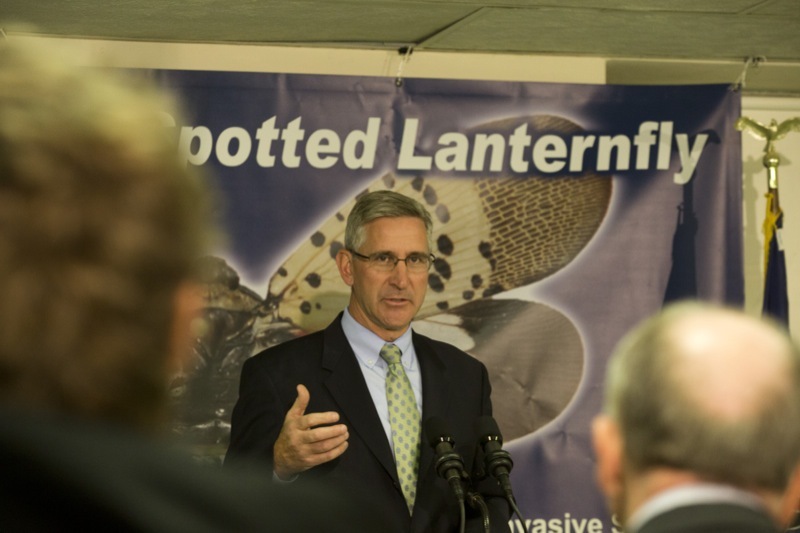 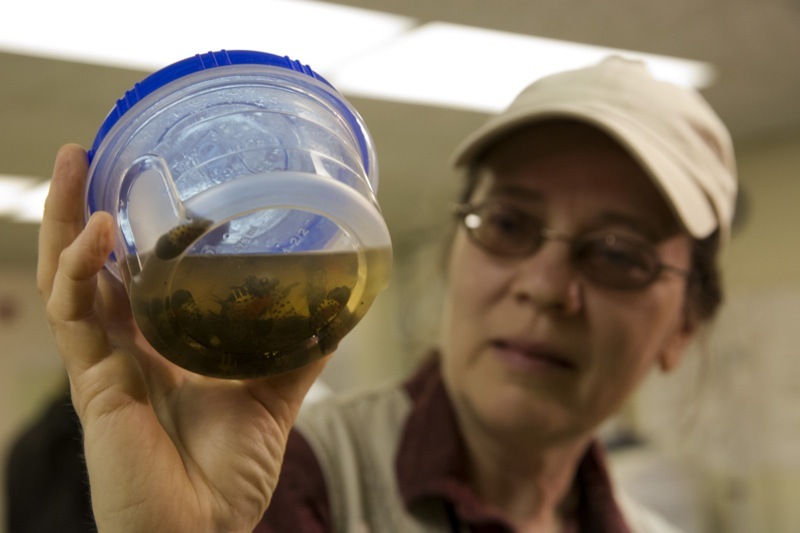 - With nearly 20,000 Spotted Lanternfly terminated to date and additional egg masses hatching, officials from the Commonwealth of Pennsylvania, United States Department of Agriculture, Berks County and local community came together today to provide an update on surveillance efforts and work to eradicate this threatening invasive species. 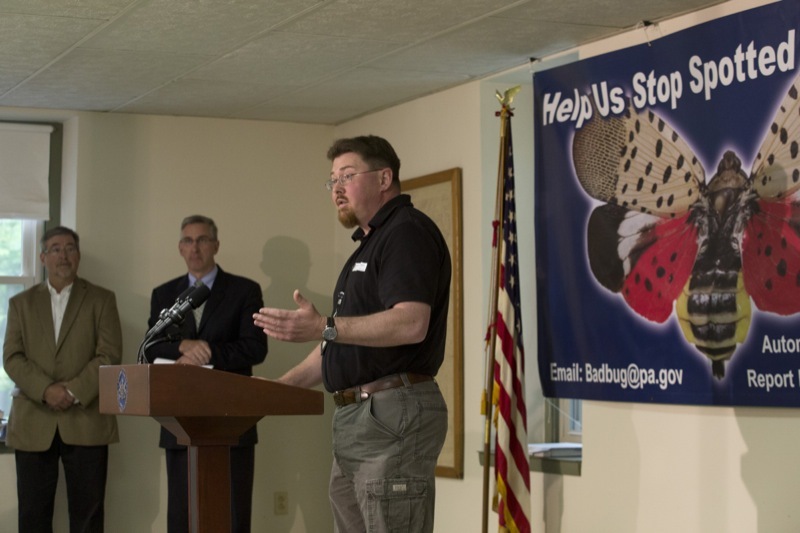 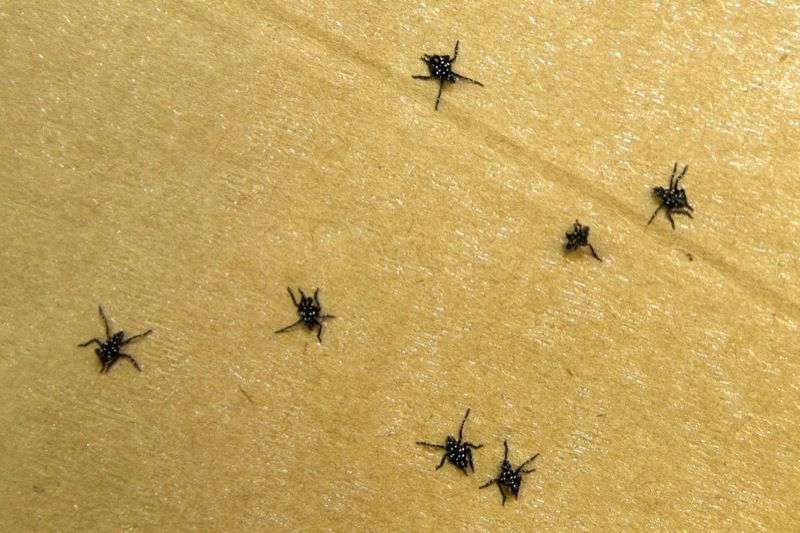 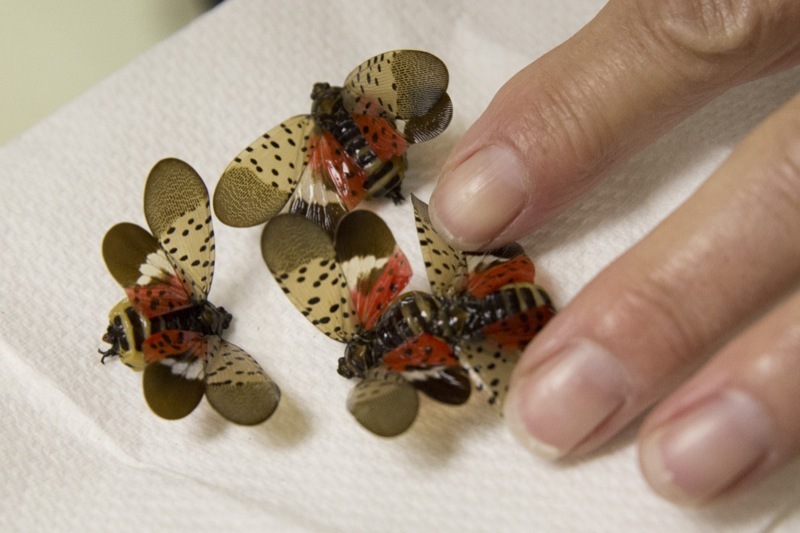 With nearly 20,000 Spotted Lanternfly terminated to date and additional egg masses hatching, officials from the Commonwealth of Pennsylvania, United States Department of Agriculture (USDA), Berks County and local community came together today to provide an update on surveillance efforts and work to eradicate this threatening invasive species. 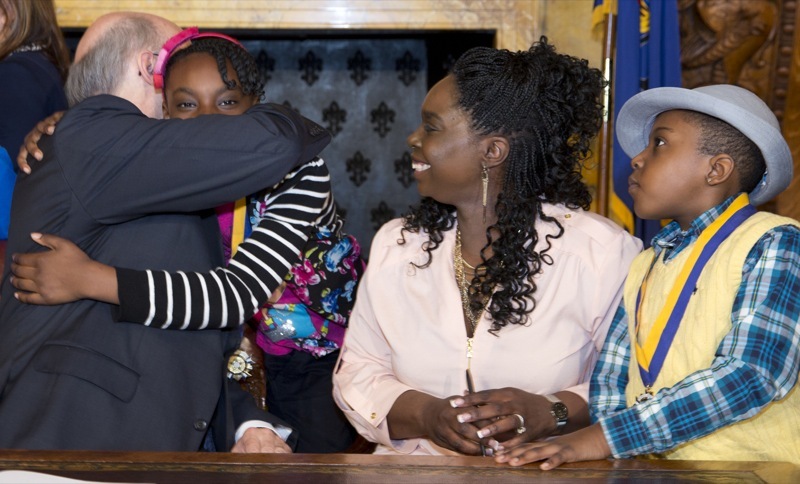 Governor Wolf signs his first bill. 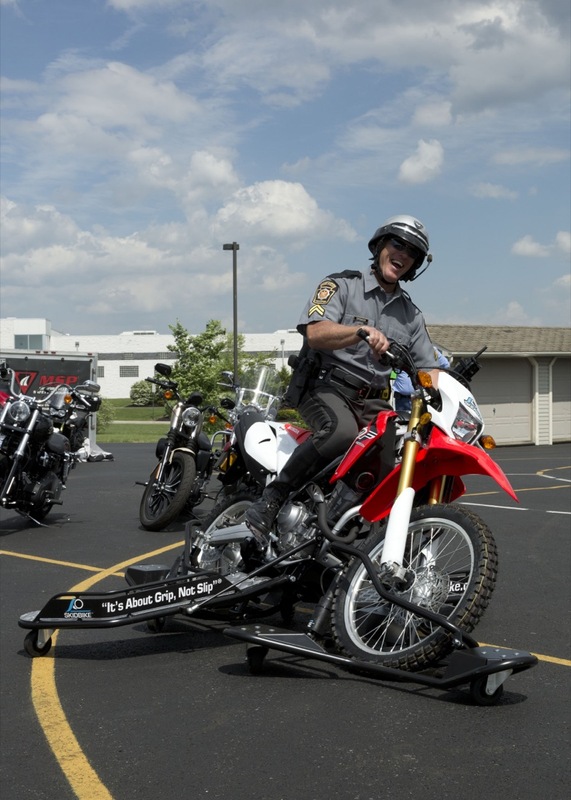 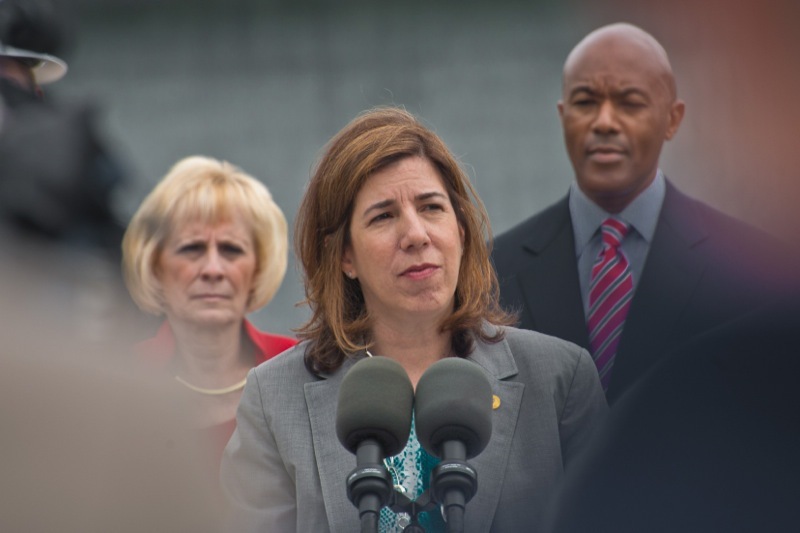 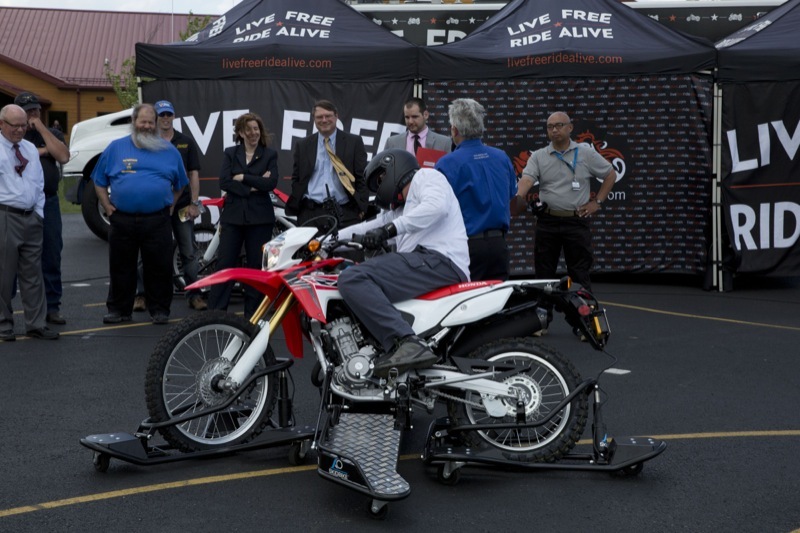 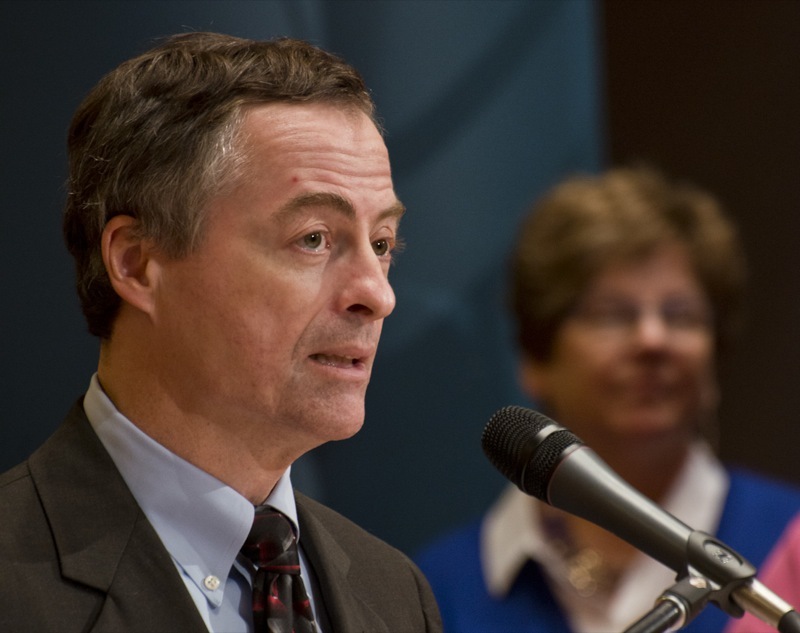 House Bill 152 amends the Emergency and Law Enforcement Death Benefits Act. 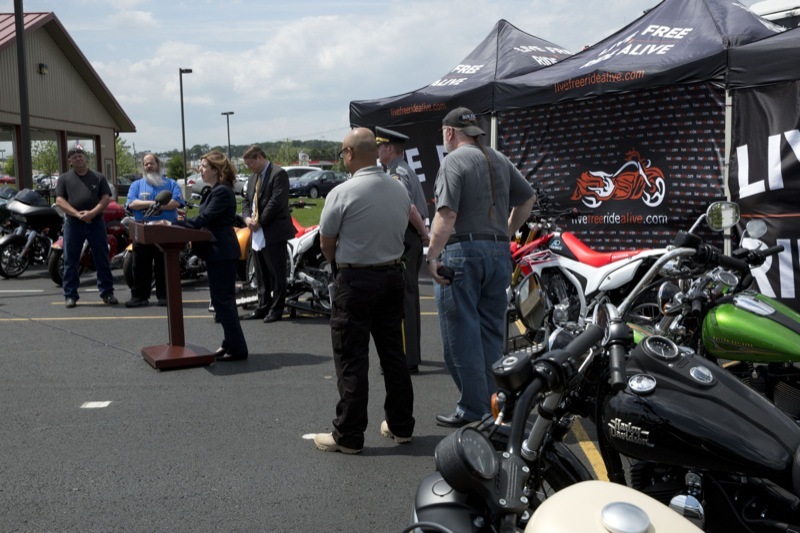 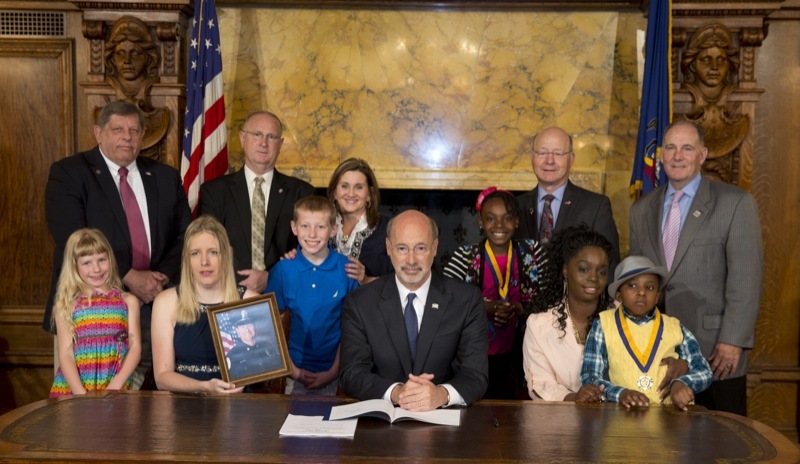 Harrisburg, PA - Governor Tom Wolf today signed his first four pieces of legislation, including a bill that extends the application period for survivors of fallen law enforcement officers to apply for death benefits. 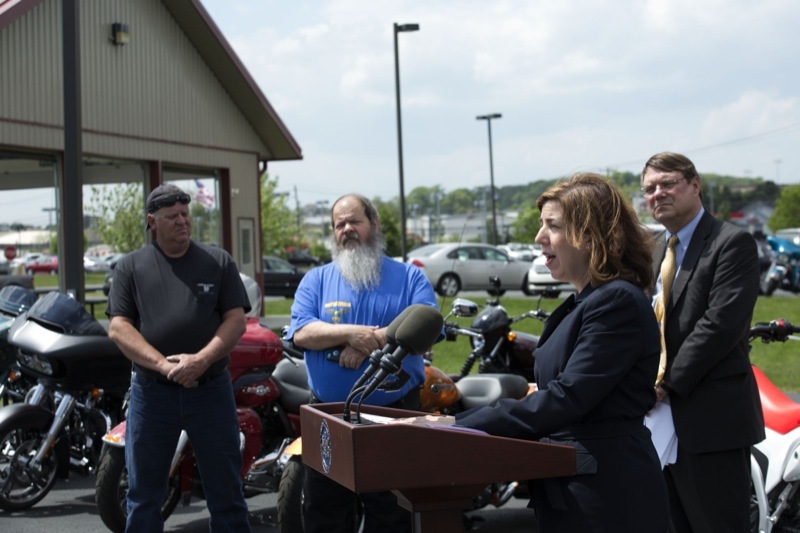 Learn more about how the elimination of the fixed-wing exemption has positively impacted the aviation industry in Washington County. 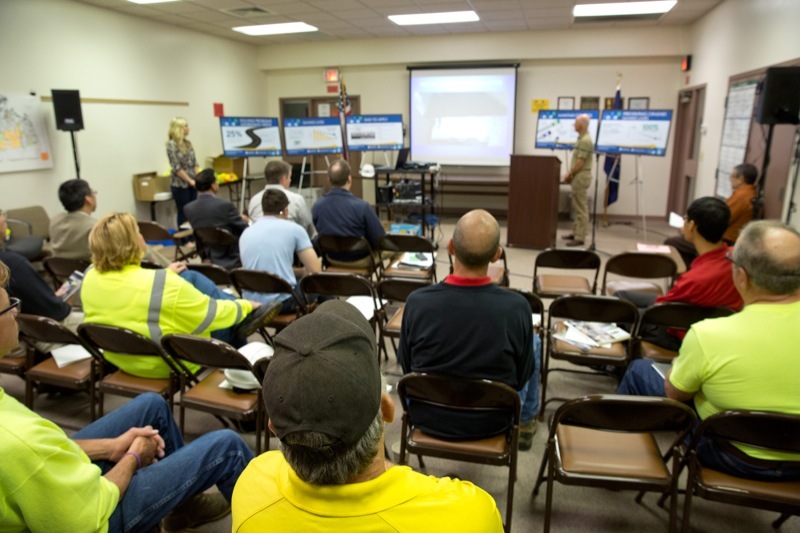 Representatives of PennDOT and North Cornwall Township, Lebanon County, joined the Federal Highway Administration and the State Transportation Innovation Council today to host a regional demonstration day bringing together key stakeholders to exhibit the application of an innovative, safety enhancing pavement surface treatment.